I’m a compulsive researcher. I research random things all the time. Something occurs to me during the day, and ten seconds later I’m on Google digging through links trying to find out what the biggest frog is or something equally as pointless. So, it should come as no surprise that, to me, one of the best things about writing is the research. 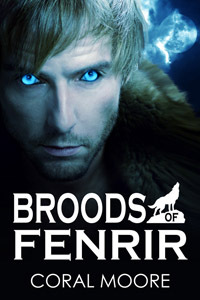 My first novel, Broods of Fenrir, is currently with a second set of beta readers and will be sent off to my editor in early August. I did a lot of research for this book, more than Urban Fantasy should reasonably require. The allure of writing fantasy in the modern world is that most of the world building is already done. 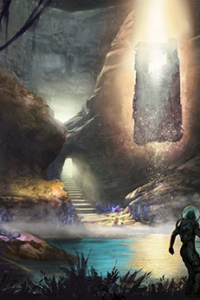 The world your characters populate is our world, so there isn’t much to read up on. The only parts that require building are the fantasy aspects. That isn’t the case with my book, for a few reasons. The werewolves in my story descend from slaves of early Vikings. Because they are long-lived and keep to themselves, their morality is still interwoven with that ancient culture. In many ways, though this book takes place in modern Denver, it’s very much a period piece. Originally I was going to include far more Norse language in the text of the story. I spent weeks learning pronunciation and grammar quirks of a language that hasn’t been spoken in a thousand years. It was super interesting, and I don’t regret the time I spent, though now none of that is going to be seen in this book–though it’s possible I’ll include some in a sequel. After I got about halfway through the story, I realized that the Norse would just confuse and frustrate readers, so I translated everything and just set if off by stating that the character spoke in Norse. I’ve left the names of characters in their traditional language and I’ve included mythical references to add to the Viking flavor of the story. I hope that’s enough to bring their culture the proper feel that I wanted. We’ll see what the betas have to say in a few weeks. The reason I’m bringing this up now is that I wanted to see where some of you stand on the issue. Do you like lots of juicy research tidbits in what you read? Or do you not really notice all the sweat that goes on behind the scenes of the writer’s world? I’m just wondering if I erred too far on the side of caution with this one. Look for another post soon on the Old Norse language where I talk about some of the names that I’ve left and possibly some of the words I took out. Ryan’s Word of the day will make you laugh. An ecdysiast is one who makes their living by taking off her (or his!) clothing. Now you can talk about strippers without anyone being the wiser. I love doing the research, too. In reading, however, I think too many intricate details scream “and look what else I learned while researching this book!” I try to use my research to inform the way I write my characters and their motivations, rather than explicitly informing the reader. I agree completely! You can tell when a writer includes that stuff just to show off the awesome things she learned and I was definitely guilty of that in the first draft. It’s so hard to pull it out too, because there’s always the feeling like maybe there are some readers that would appreciate that. Just have to tell myself that if my story motivates them to learn more about whatever random thing, then I have done my job right. Indeed! It’s coming along nicely, I just need a twist that I haven’t quite thought of yet. A flash fiction story that came to mind has kind of sidetracked me the last couple of days, but I hope that it will act as a palate cleanser. I agree with GM: doing research is fun. However in most cases I use only about 20%. The rest is there, but I don’t mention it explicitly. It helps to keep my world(s) consistent, and eventually tidbits might bleed through. What I do love however is kind of lifting the veil a little bit now and then, just to show there are foundations, that behind the plasterwork there is indeed a frame. I wonder :do others do this too? Yes, that’s what I’ve found too. I might even have used as little as 10% of what I actually learned. I think your analogy is good, and it’s sort of how I looked at it too. Most of what I researched forms the support of the story. The everyday details that readers just don’t need to make the story work, but are there if anyone wants to know. When I first started my Father Serra’s Legacy trilogy, I thought I knew a lot about the founding of the California missions and those who did it. I’ve probably spent more time conducting research than I have writing/revising and editing the 200,000 plus words of the two novels completed so far. The next problem for me was/is telling the story of the main characters without shoving facts down the throats of my readers. After all, while telling the story of this amazing effort, giving the readers people to empathize with is number one. It’s definitely a challenge. In the end that’s why I took most of the Norse out, because I felt like my readers would have to struggle through it, and might not like it. I left in the bare bones of the mythology though, and if they want more information on that they can always look it up on their own. I’m a big believer in research, even though most of it will stay in my head. I still find it crucial for maintaining an internal congruance in a story. I’m even more careful because I’m writing with Norse mythology, too, and I know a lot of people who take their Norse myth very seriously. I think you did the right thing, though I know how hard it is to pull content that you have sweated over. When I was in grade school, I read a series of books that had French prhases scattered throughout. I remember just skimming past those. They didn’t really add to the story for me. I tend to research compulsively too. Even if only a small portion (like the 10% you mentioned) makes it into the final draft, research is fascinating and rewarding in its own right.